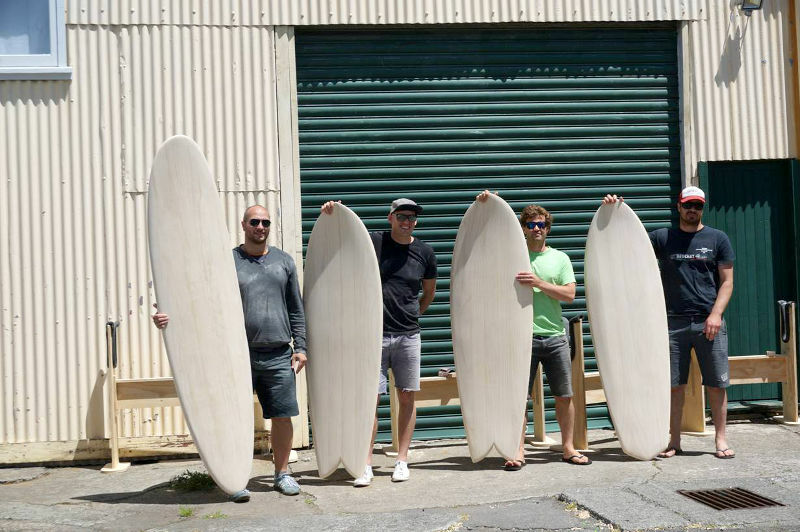 Jack Candlish runs wooden surfboard shaping workshops in Wellington. These are some of his recent students and their handiwork – shaped from our home-grown paulownia. Ollie Shand made this beautiful alaia surfboard out of our paulownia. Finished with boiled linseed and mineral turps, Ollie says it’s a lightweight board that’s super fun to ride.